How to use your customers' historical purchasing patterns to gain an understanding of the elusive "overall wallet spend." How to identify and quantify the two different types of organic growth opportunities that exist across your entire customer base. 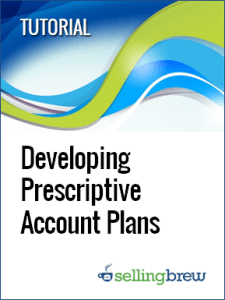 How to prioritize the opportunities and develop prescriptive territory- and account-level plans focused on specific actions. How to close the loop on each element of the plan and gather intelligence that can be used to improve the process. Of course, every sale is the result of a process. And with any process, the quality of the final product is influenced by the raw materials. This diagnostic helps improve revenues and margins by identifying the root-causes of erosion in your sales processes. Use this scorecard to assess your competitors relative to each other and yourself on the various elements of the Triangulated Competitive Audit. If you lower your price, will you have a better chance of winning? Learn how to identify the buyers where additional discounts don't matter...and those that are secretly willing to pay more. We recently went through a virtual negotiation training program that can help close the massive skills gap between buyers and sellers. In this research brief, we share our impressions and recommendations.